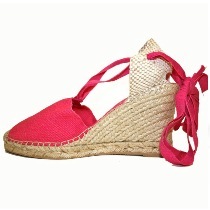 These shoes are the traditional Albarcas from Levante, Southeastern region of Spain. The abarcas were the rustic shoes used in Levante to work in the fields. They are produced with soles made of tire and reused cowhide. 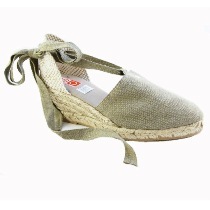 Handmade in Spain in nubuck leather or cotton, cotton laces, leather insole and stitched rubber sole.